Otto Piene’s use of light developed in the late 1950s with works utilising earlier experiments of printing onto canvas using punctured screens of many small holes, producing a grid of small, elevated pigment dots on the surface. These perforated ‘raster sieves’ were used in early works as hand-held tools through which to shine light from candles. This rudimentary apparatus soon developed into more complex means in 1960-61, employing metal screens, discs, motors, timers, and rotating electric lights, coming to a theatrical climax in room size installations. 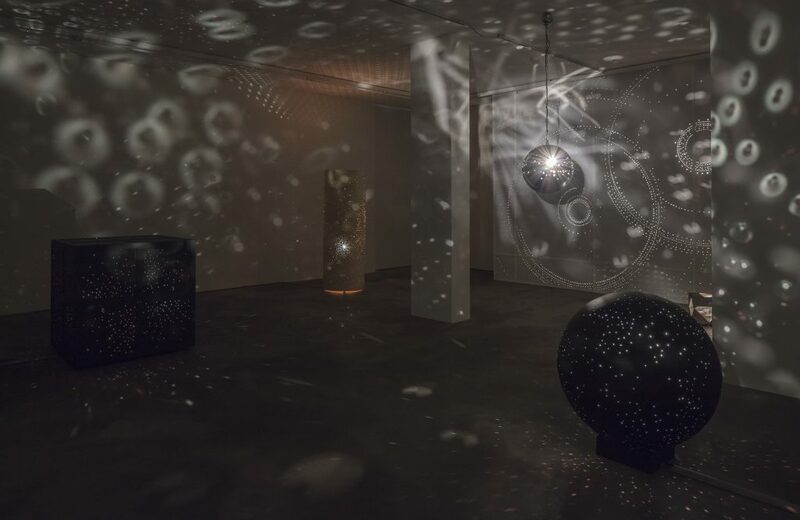 A selection of these elements will be presented in Sprüth Magers collaboration with the Otto Piene Estate, his first exhibition with the gallery, taking the form of a ‘Light Ballet’. Piene was a choreographer of light, forcing it to ‘dance’ across the room, first by his own hand but later with these sophisticated mechanical arrangements. The perforated screens and stencils vary in size and complexity, some taking up whole walls and others more modest spheres and cubes. A single light source is fractured into multiple dots that change size by how far the bulb is from the punctured screens. 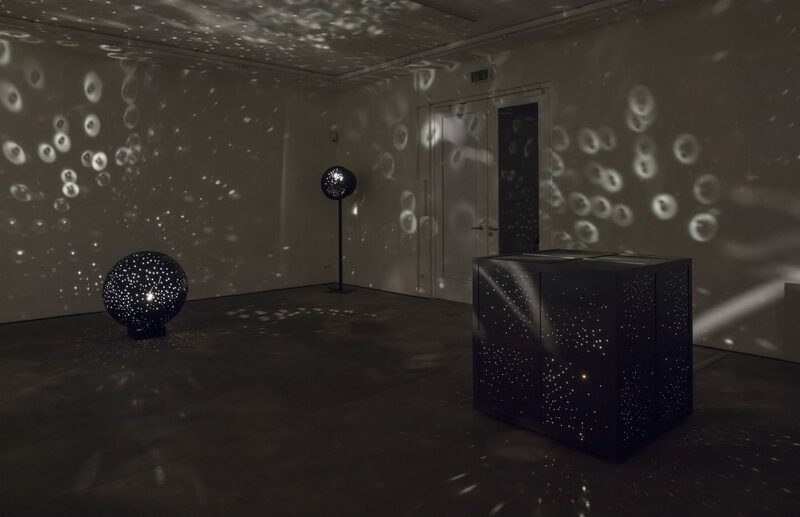 The light appears to come from all directions as it moves from one wall to the next, constantly changing its clarity and scale, with the use of timers to fade lights in and out creating a variety of environments that range from near darkness to full multi-source light spectacles. The experience for the spectator is one of total immersion as the light moves across the room and their body, overlapping in complex ways to produce shimmering galactic constellations. This aspect of filling the space differs from the formal restrictions of film, in which light is projected and viewed from one point, bound to one end of the room with the spectator at the other. The Light Ballets indeed detour into mass culture, utilising and making reference to film, technology and design. As director of the MIT Centre for Advanced Visual Studies from 1974 to 1993, Piene pursued the possibilities of collaboration between art and technology, not too dissimilar to the contemporaneous New York-based Experiments in Art and Technology, most closely associated with Robert Rauschenberg, which likewise sought to introduce artists and engineers for ambitious and otherwise unfeasible projects. Piene used the term ‘painting with light’ to describe the Light Ballets, distancing himself from a recent history of gestural painting in the 1950s to a more technologically optimistic utilisation of light, in relation to recent experience. The light spectacles with which Piene was familiar were in the context of war and his experience as an anti-aircraft assistant aged sixteen, the blazes of fire and the searchlights that populated the night sky in the hunt for the Allies’ bombers. The sky was to hold further importance some years later for Piene, in 1969 coining the term ‘sky art’ to describe events and artworks that draw attention to the relationship between the sky and the urban landscape beneath, typically utilising his signature inflatable sculptures. 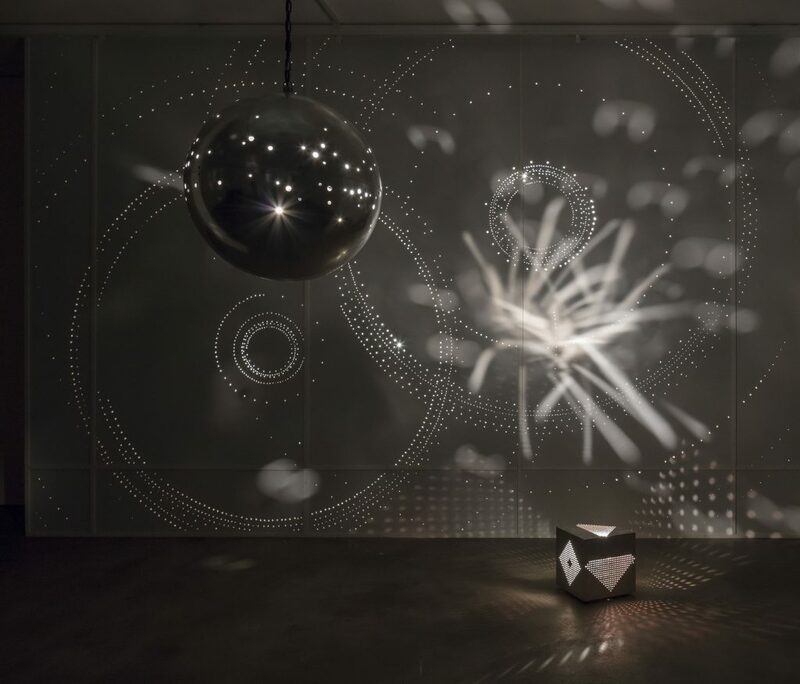 The recent history of technology, and specifically light, as a medium of war was a premise that Piene looked to investigate and rewrite on a clean slate with light presented as a source of life rather than destruction. This was a core belief of Group ZERO, founded with Heinz Mack in 1957, as ‘a zone of silence and of pure possibilities for a new beginning… The incommensurable zone in which the old state turns into the new’, following the trauma of World War II. With the new place of technology in modernity soon to present itself in the context of the space race, Piene’s Light Ballets evoke a specific time whilst suggesting new possibilities for painting with light and the advent of installation-based practices that seek to surprise and overwhelm the spectator. Otto Piene (1928-2014) was born in Laasphe, Germany and died in Berlin, Germany. He lived and worked in Düsseldorf, Cambridge and Groton, Massachusetts. Recent solo exhibitions include Tehran Museum of Contemporary Art, Iran (2015), Neue Nationalgalerie, Berlin (2014), ZKM Museum Für Neue Kunst, Karlsruhe (2013), and MIT List Visual Arts Center, Cambridge (2011). In 2014, The Solomon R. Guggenheim Museum, New York held a comprehensive retrospective of Group ZERO. Major historic group exhibitions include the Venice Biennale (1971 and 1967) and Documenta 6, 3 and 2 (1977, 1964, 1959).